This Stately mansion was built by August and Mary Schott Westphal in 1913, on a triangular lot overlooking historic downtown Hartford and is surrounded by the neighborhood and Sawyer City Park, in the back. The English Tudor style home has a Frank Lloyd Wright style brick and stucco exterior. The interior was Arts & Crafts style, finished with red oak and birch woodwork, plaster-carved moldings, a grand staircase, central vacuum, intercom system, a two car heated garage with Hartford’s first car wash, and was heated with a state-of-the-art hot water system. A three-foot deep concrete fountain was built in front of the mansion in 1917, on the front lawn of the estate. Beautiful rose garden beds surrounded the mansion. It was built as a single family home for four and spacious enough for high society entertaining and socializing. August Westphal was well known both statewide and nationally as the "Cheese King" and one of the largest cheese manufacturers in Wisconsin. 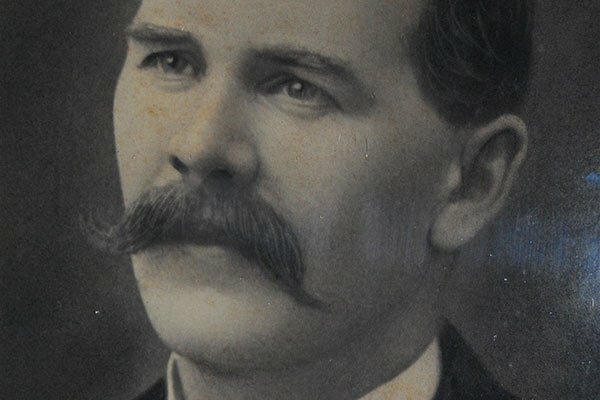 He owned and operated more than 50 cheese factories throughout the state of Wisconsin, and built a condensery in Hartford, called Westphal & Sons. His brick cheese won many awards and scored highly at the Wisconsin State Fair, and was even shipped abroad. In 1919, 170,000 lbs of Swiss block cheese was sent to Norway. Condensed milk was shipped to England to be stored for use by the American Army - a quantity that would last that country for the next two years. Later, the condensery was sold to Kraft Cheese Company. In 1978, the City of Hartford demolished the 3 story building. Today the area is the location of Hartford's Post Office. 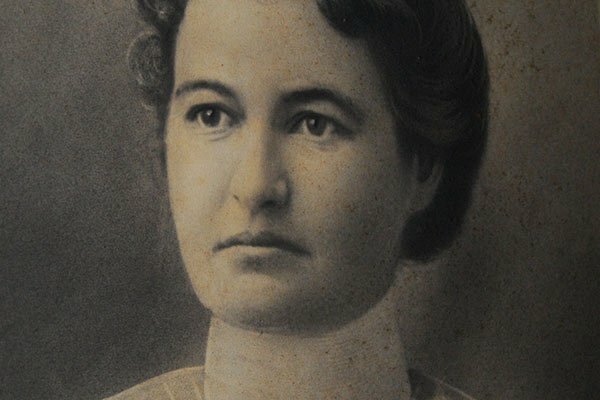 In 1917, Helen Lohr, R.N. of Hartford, started the first hospital in a Kissel Boarding House. In 1919, Wilson Heights was purchased from John Etzel to start a new hospital. Mrs. August Westphal and Miss Jo Etzel operated the hospital until 1926 when it was sold to the Religious Hospitallers of St. Joseph. 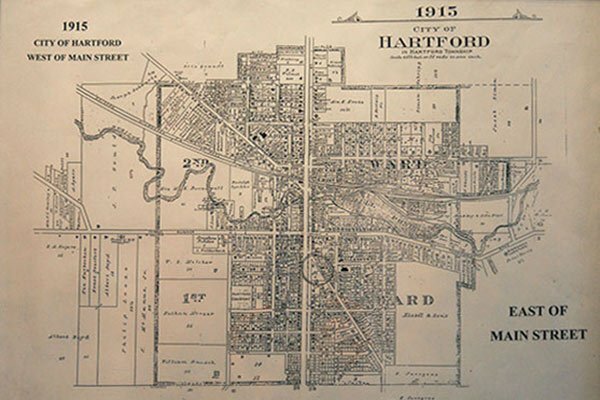 In 1970, ownership of the hospital was then transferred to the Hartford community.